Looking to target those in Greater Manchester, Merseyside and more? Look no further than a cost-effective black cab campaign from London Taxi Advertising! At London Taxi Advertising, we work closely with our clients to deliver the most effective and eye-catching bespoke taxi solutions. We’ve spent the last decade establishing ourselves as the UK’s leading taxi advertising service – get your brand on the roads of the North West today with LTA. Why advertise in the North West? The area covers the five counties of Cheshire, Cumbria, Greater Manchester, Lancashire and Merseyside. 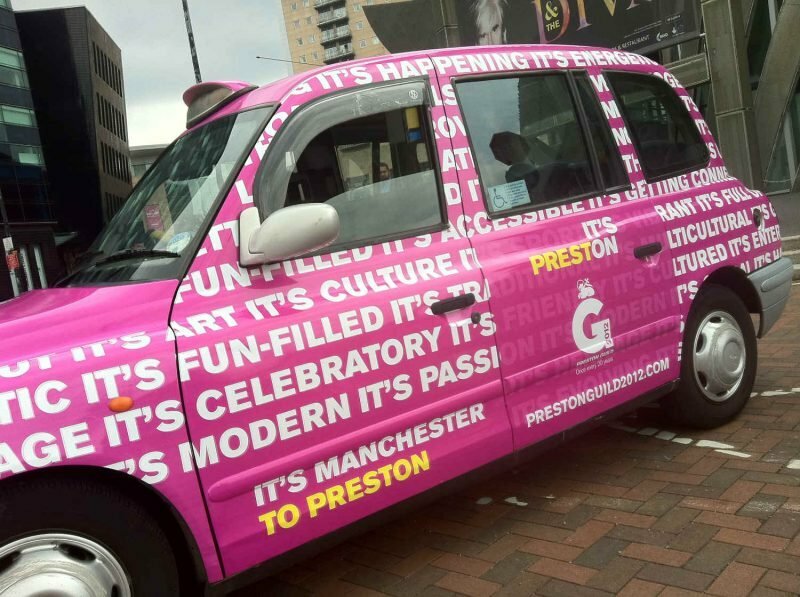 This means that your cab campaign will reach people in cities such as Manchester and Liverpool, as well as those in several other major towns. North West taxi advertising carries huge potential – imagine your brand standing proudly outside Old Trafford and Anfield, or picking up passengers from Manchester or Liverpool John Lennon Airport! The North West is a major economic powerhouse, and taxi advertising is the ideal way to reach a large audience who have money in their pocket and the power to make purchases. With Liverpool, Manchester and Lancaster all extremely popular student destinations, it’s also ideal if you’re looking to reach a younger audience and tap into that invaluable millennials market.